Fan from experience with JJ in Dallas area. First trip to JJ here in Branson. Mediocre experience - bread had to be left over from previous day - very stale. Disappointed. Their bread, when fresh, is exceptional.Hope this was just a one-time issue. OK food but staff seemed a little overwhelmed. Stopped by for dinner and although not overly busy, the staff was somewhat overwhelmed and had some difficulty getting orders out correctly. Food was just average, not bad but nothing I’d go out of the way for. They ran out of bread just as we got through the line???? ARRRUGH! Nice fresh bread, meats/cheese were tasty. Enjoyed their huge cookies for dessert. Only drawback, if you have a larger group of people, they just have small booths that are a tight fight for larger people. We ordered supper today . I placed the order online. 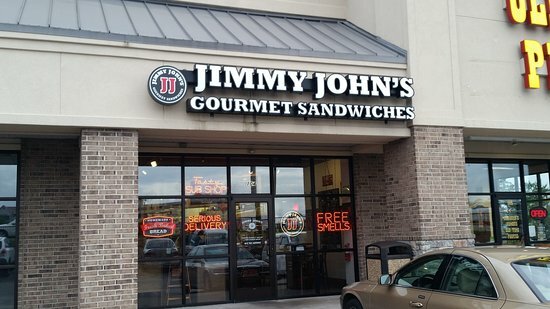 It was easy to pick the sandwiches we wanted and customize the order. I had the order delivered. It did not take a lot of time to.get the order. The order was fresh and delicious. My husband and I stopped by today to grab a bite to eat. Love the bread and the Italian sandwich is really tasty. The staff greeted us then Thanked us for coming. 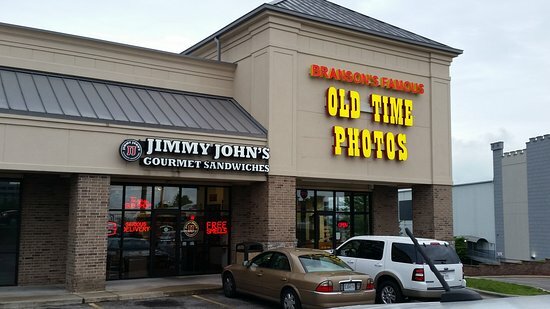 Get quick answers from Jimmy John's staff and past visitors.